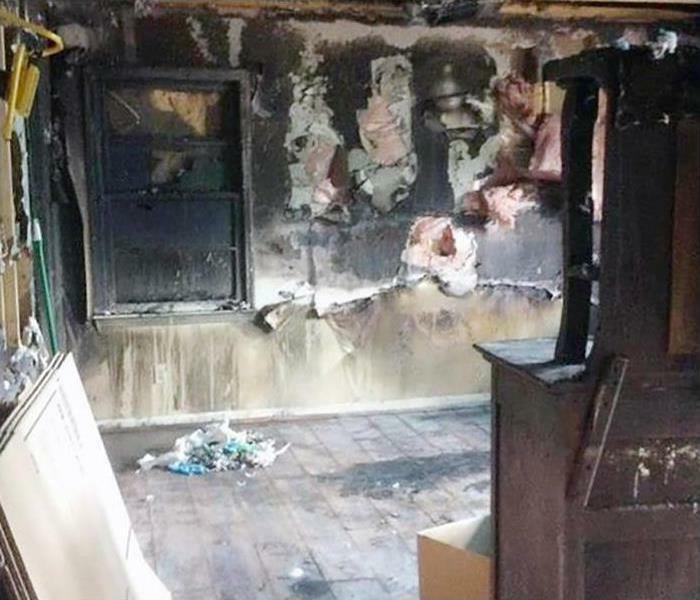 Our local professionals at SERVPRO of Manayunk and Chestnut Hill have experience rebuilding commercial and residential properties after fire, water or storm damage impacts your property. We can simplify the restoration and construction process by handling both the initial damage mitigation and rebuilding the affected areas of your Chestnut Hill area business or home. Having one local and qualified company for the entire process can save you time and keep your cost lower also. 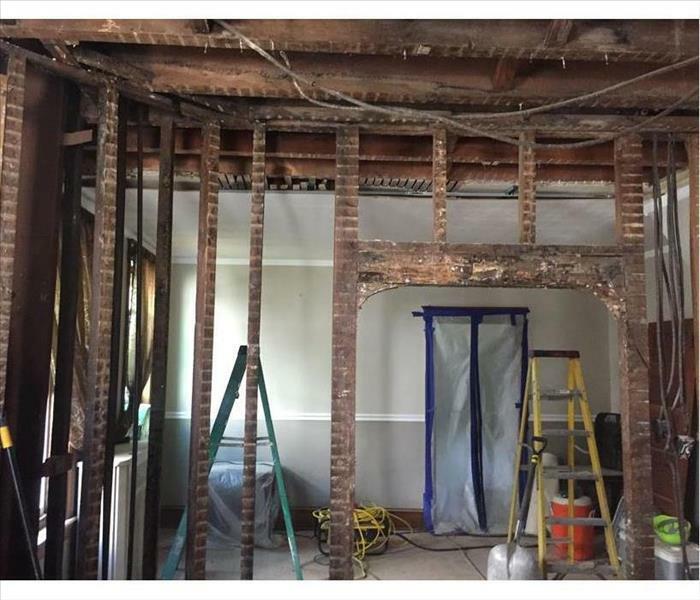 SERVPRO of Manayunk and Chestnut Hill can provide a full range of restoration services that will bring your damaged building back to preloss condition. Volumes of stormwater that penetrate a damaged roof can cause excessive damage to a home in Roxborough. Understanding the hazardous conditions along with the most expedient measures to mitigate the damage is a cornerstone of the SERVPRO process. Mold is an uninvited visitor in your home, and our team can help. We have the training, state-of-the-art equipment, and mold damage experience to restore your home to pre-damage condition. SERVPRO is Faster to Any Size Disaster! Small electrical fires in bathrooms that burn cosmetics and lotions often leave a filmy, sticky mess even without structural damage. This Roxborough Photo shows the cleanup that can be done by SERVPRO technicians. We use special sponges and detergents, a deodorizing spray and the customer feels "Like it never even happened." The lower level of this home in Manayunk suffered severe flood damage from contaminated water. The carpet, pad, and a flood cut on the walls were needed to discard the non-salvageable building elements. SERVPRO strives to restore and not replace when possible. The drying out of the affected rooms was crucial to mitigating secondary flood damage. 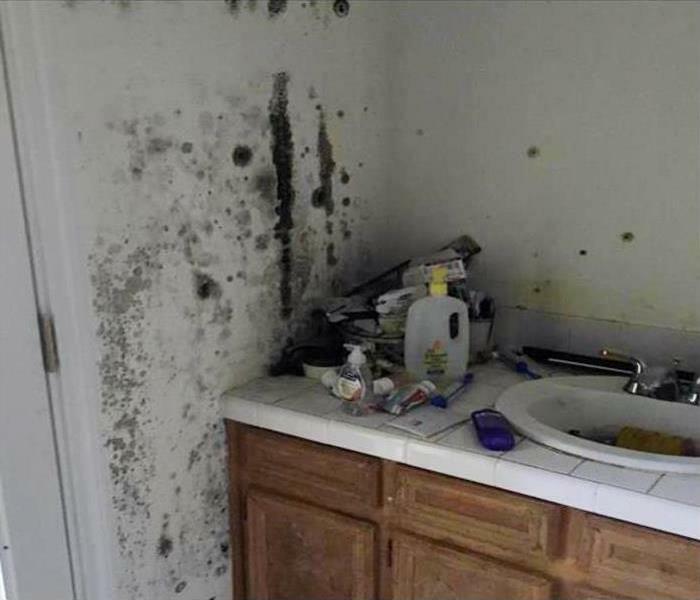 Mold damage at this Manayunk home’s bathroom was due to a small leak under the sink. The moisture along with the darkness in the cabinet under the sink proved to be the perfect breeding ground for a mold colony to develop. A fire can destroy your home within minutes, and our team is Faster to Any Size Disaster! SERVPRO is dedicated to providing outstanding service, and we will arrive quickly to your fire damage emergency. SERVPRO of Manayunk is the best in the industry, and we have the experience and equipment to restore your home to pre-damage condition. A broken water main drenched the walls and floor of this commercial building in Manayunk. 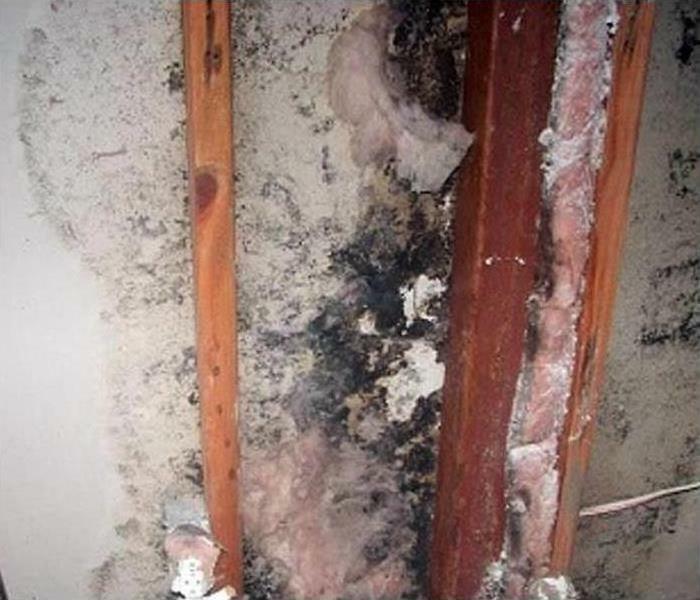 The non-salvageable drywall can be flood-gutted as pictured by SERVPRO water damage technicians. Fast action means the framing can be saved, limiting disruptions to business activities and costs. 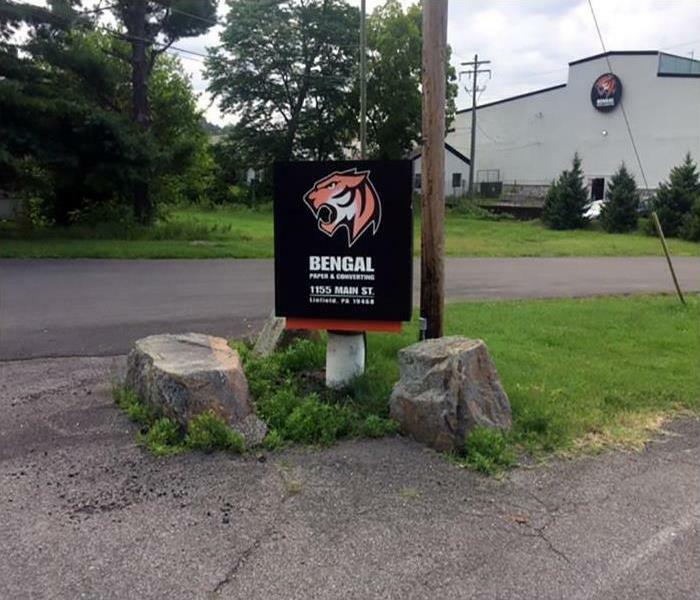 Pictured is the Aspiring Champions Sports Performance Center serving the greater Philadelphia area. An Aspiring soccer player, kicked the ball, missed the goal, but did score a direct hit on an overhead sprinkler head. The 1" thick Astro-Turf was soaked by the water. Our SERVPRO of Manayunk water damage restoration Team, true Champions in our own right, rigged a "tent" to extract the water and moisture from the artificial surface. 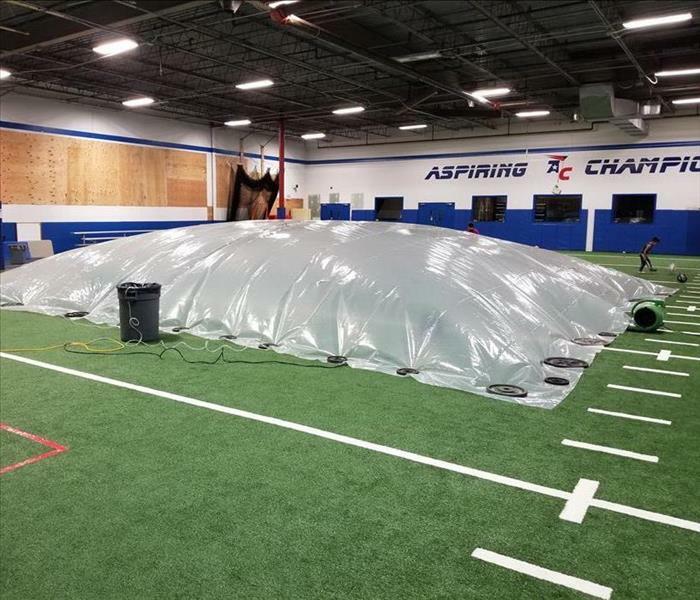 The visible high-velocity air mover is inflating the "tent," circulating the airborne water vapor to the dehumidifiers hidden within, and directing unwanted moisture to the gray container. You can rely on our experience and resources to expedite the required efforts and quickly restore the soccer field to its preloss condition, "Like it never even happened." GOAL! This fire left behind a charred mess in Chestnut Hill. The cleanup, when done quickly, can mitigate the circulation of odors and burnt particles to unaffected rooms. SERVPRO techs can work hard and long to restore this unit to its preloss condition. After the dampness has been dried and the mold colonies scraped from raw lumber as shown in this Roxborough house, finishing touches can make a homeowner more satisfied with the result. SERVPRO always goes the extra mile to make sure our customers feel that we have exceeded their expectations. Storm damage events in Manayunk can become enormous in size and scope. Sometimes normal sources of power are not available. 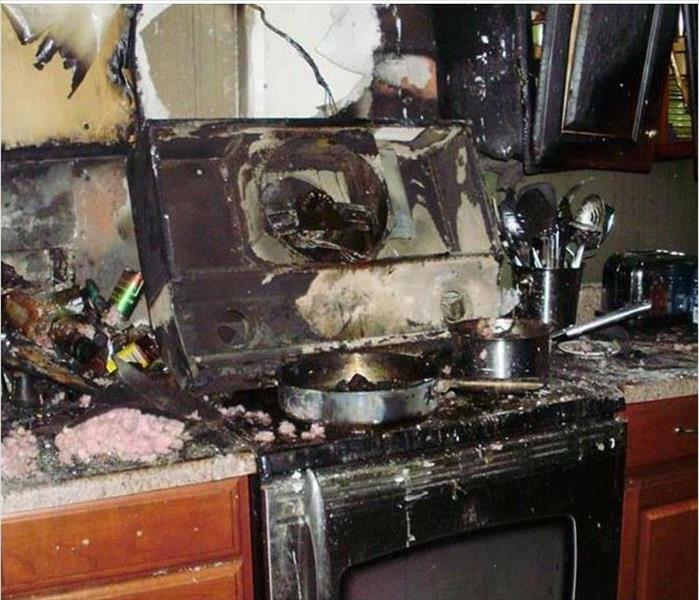 SERVPRO of Manayunk provides their own power to run their sophisticated restoration equipment when this occurs. 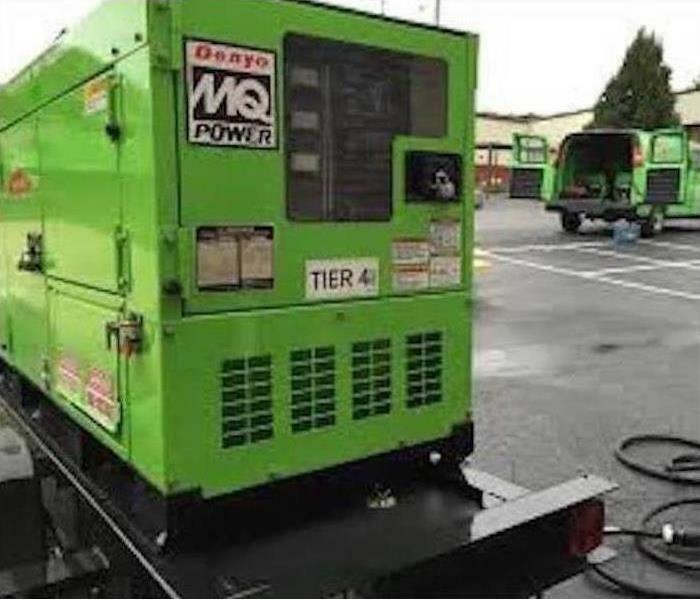 The photo shows a large trailer mounted commercial generator. Even a winter-hardened town like Mt. Airy can suffer adverse effects from the recent bomb cyclone. Frozen water pipes ruptured and flooded residential apartments over small commercial retail shops on Pelham Rd. SERVPRO team members live locally, and we strive to help our fellow neighbors. We can alleviate their stress by cleaning up their water damaged properties "Like it never even happened." 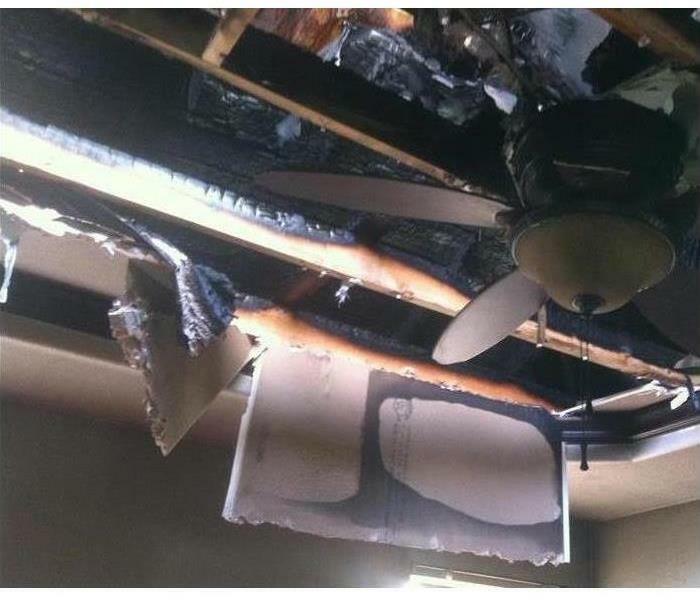 The torn off roof from a severe storm drenched the interior space of this attic in Philly. 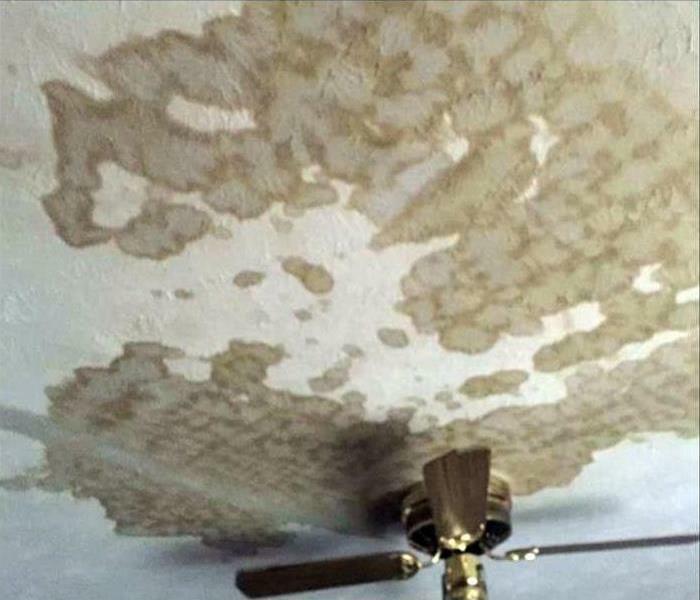 SERVPRO techs can discard the ruined ceiling materials and be creative for drying out the above area. Encapsulating the attic void and channeling out the moisture greatly expedites the drying process, thus mitigating damage to the roof supports. 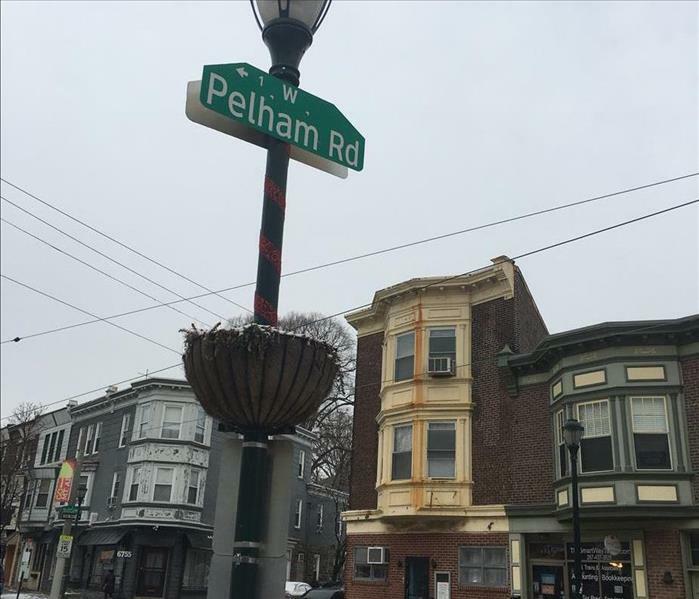 Mold damage was discovered in this Manayunk home. As the picture shows, it was quite a mess. There are many variations of mold, and it is important to analyze what type of mold you have and match the remediation technique to the specific mold growth your property has experienced. 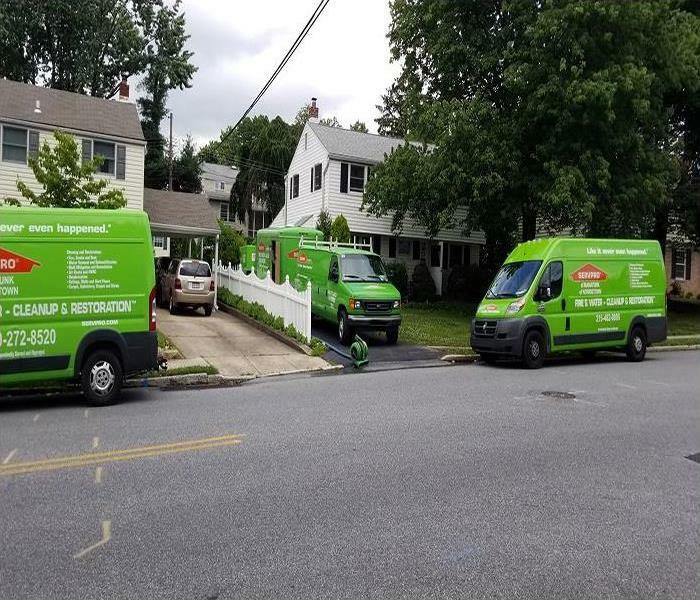 SERVPRO of Manayunk has the raining and expertise along with the proper solutions for your particular mold infestation. SERVPRO of Manayunk is ready to respond quickly to restore your commercial building after a water, storm, fire, smoke or mold damage event. When you need a restoration or cleaning professional, the SERVPRO of Manayunk team has the training to help make it “Like it never even happened.” In addition to the helping Chestnut Hill College in Philadelphia, we also work with Small Office Buildings, Large Office/High-Rise Office Buildings, Apartment Buildings, Restaurants and Hotel/Motels in the Philadelphia area. 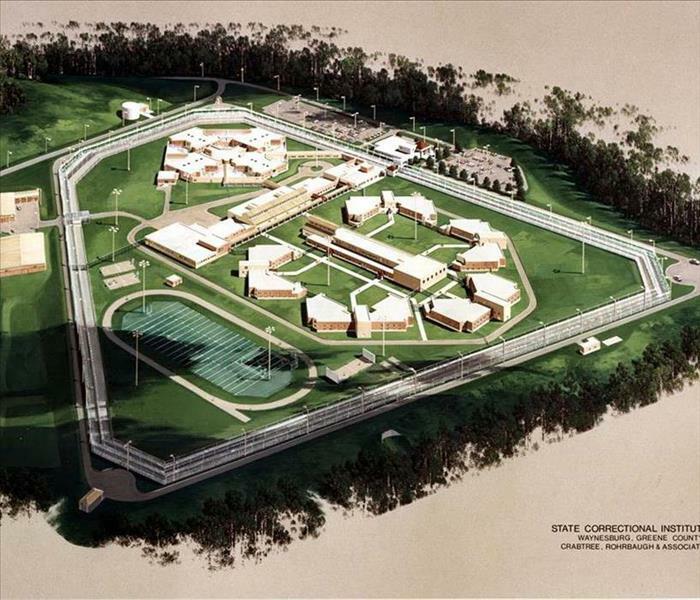 Our SERVPRO of Manayunk team has been selected to provide ductwork cleaning and air-handler services for the Pennsylvania Department of Corrections - SCI Greene Maximum Security Prison. Our professional technicians have the expertise and certifications to be able to work anywhere and tackle projects of any size - even inside max security prison blocks. What sets us apart from other companies is that we think outside the box and we get the job done right. You can trust us to take care of your facility. We Enjoy Hearing From Our Wonderful Customers! 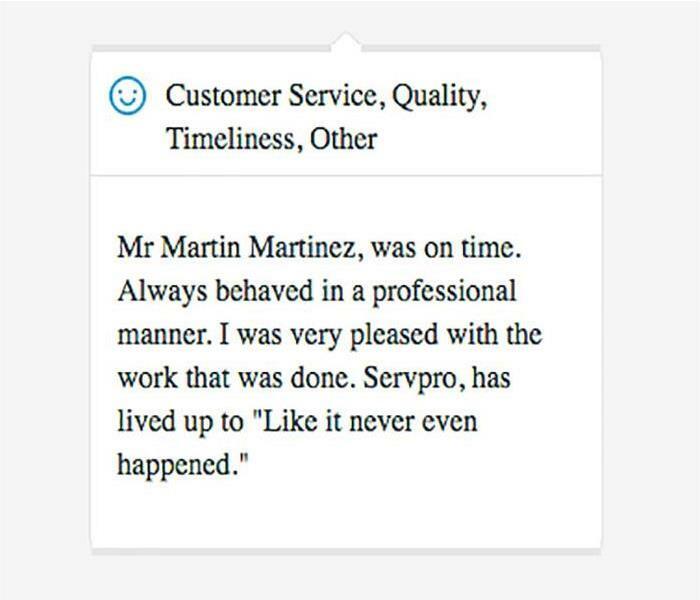 Our team at SERVPRO of Manayunk is glad when clients give us feedback. 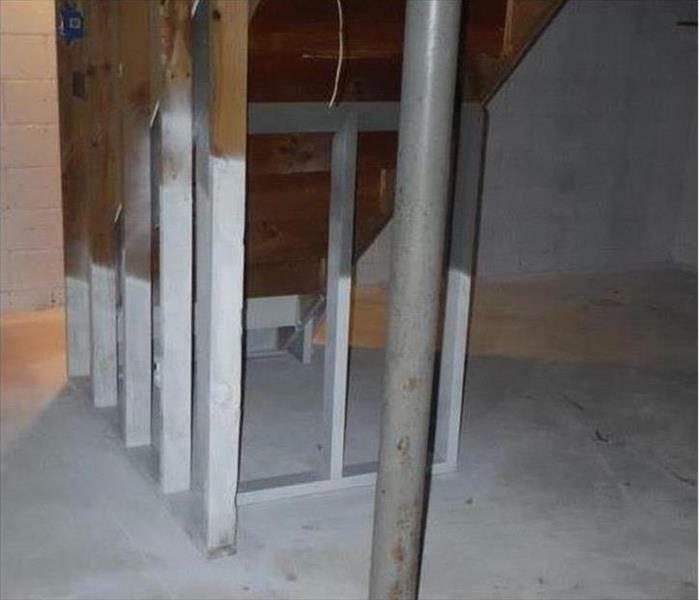 A client recently wrote that our technicians showed professionalism on the job. 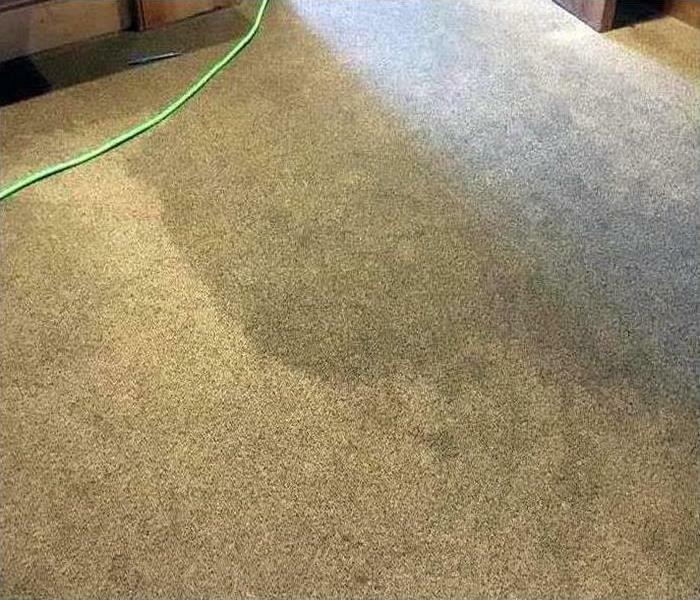 They were also very pleased with the work and how we made it “Like it never even happened.” When water damage takes over your Roxborough and Chestnut Hill area home, there is only one call to make, and that's to the experts at SERVPRO! 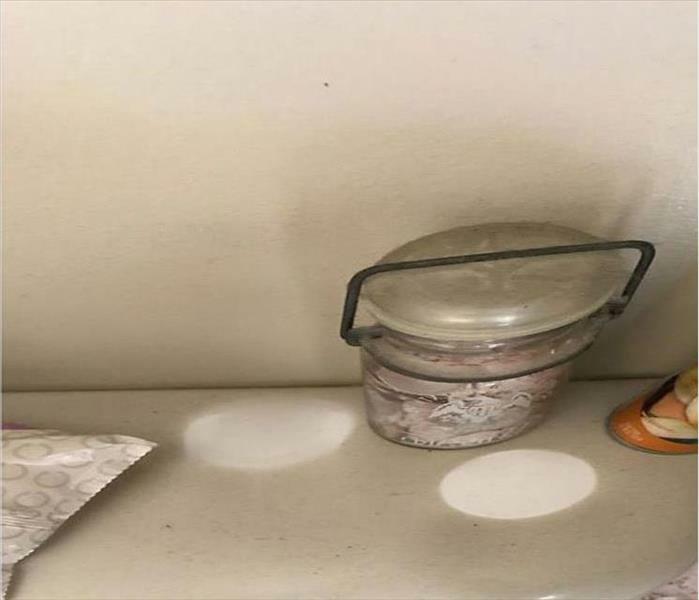 The unattended cooking in this Philly home led to a scorched kitchen, ruining appliances, cabinets, walls, and ceilings. The cleanup from our SERVPRO team was done carefully before a replacement kitchen could be installed. The stormwater flowed from the exterior fascia area drenching this wing of a home in Philadelphia. Demolition of the soaked ceiling and exterior wall were needed as part of the initial clean up. 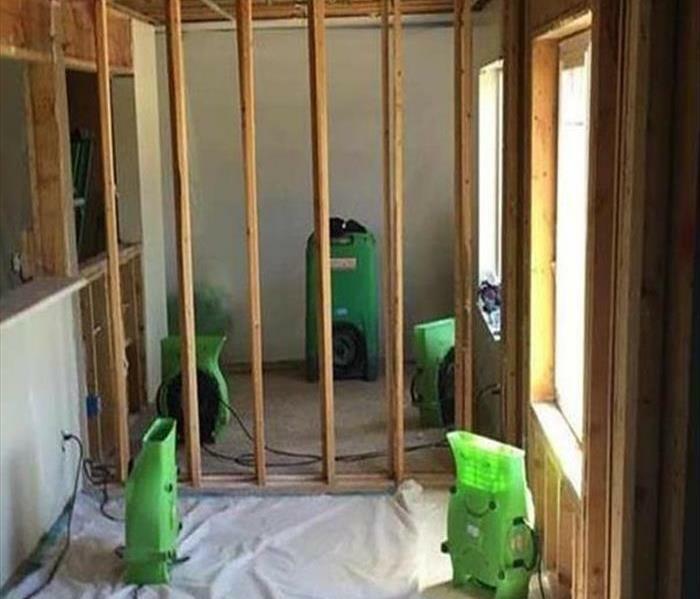 Shown are air movers directed to dry the attic crawl area and an LGR dehumidifier that can draw up to 25 gallons of water per day from the affected area. Duct cleaning for a commercial apartment complex in Philadelphia after a fire requires industry leading equipment and skills. 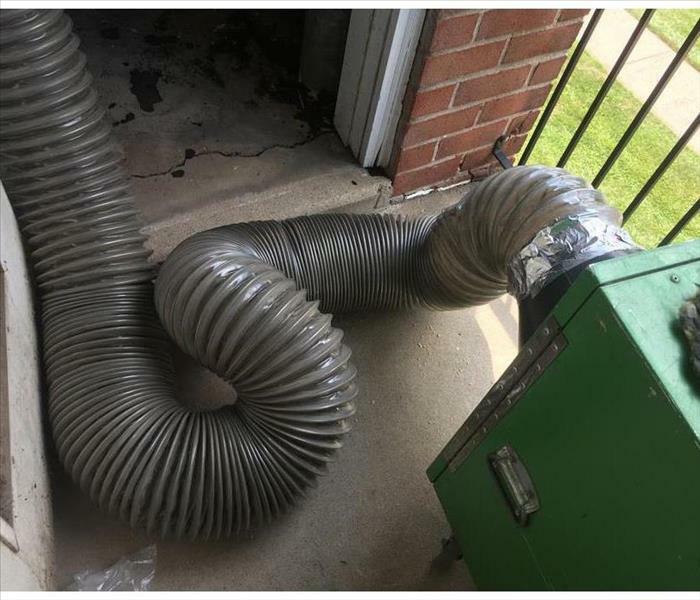 Our SERVPRO crew, led by Corey, has set up flexible tubing with a heavy-duty vacuum especially rigged to purge the ductwork of smoke and soot. 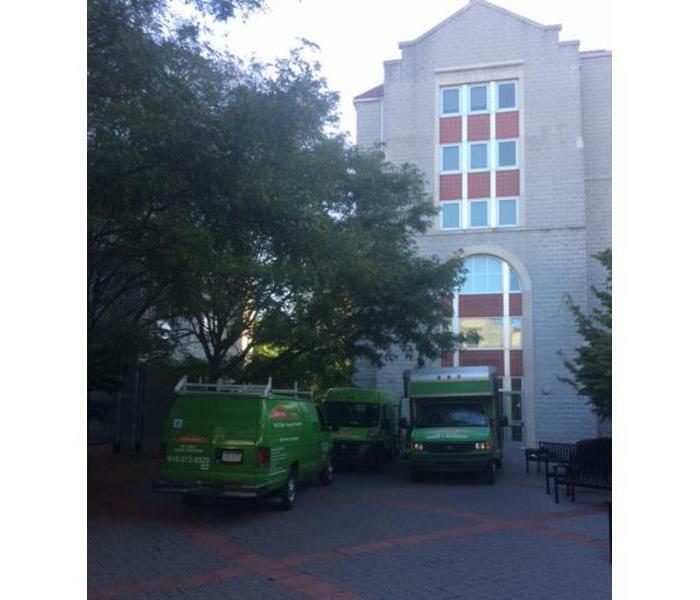 Our crew at SERVPRO of Manayunk responded to a huge water damage job at Bengal Paper and Converting in Linfield. A sprinkler malfunctioned and left 65,000 square feet covered in 2-3 inches of water. Our technicians removed the water, cleaned and sanitized, and thoroughly dried the area. We also performed a mold damage assessment to check for any signs of mold growth. We did remove some drywall that had damage and replaced the affected drywall. The customers were very pleased how quickly we were able to get their business back up and running. Faster to Any Size Disaster! 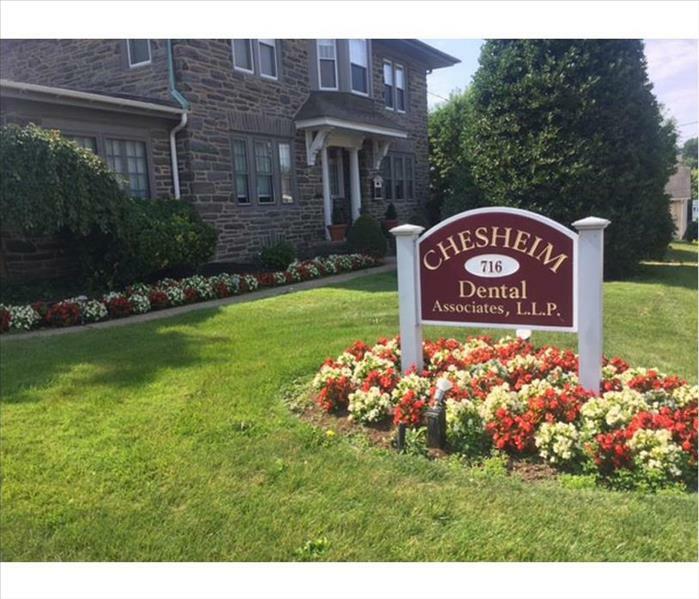 The Chesheim Dental Clinic is open for business very soon after suffering a major fire damaging event. The Glenside Fire Protection District arrived even before we did and extinguished the blaze. Our SERVPRO of Manayunk crew then set to work removing the water and smoke odors from the building. The area from the front desk back to the waiting room needed rapid water extraction to mitigate damage and downtime to the dental office. This dental clinic is renowned for excellent customer service and satisfaction. 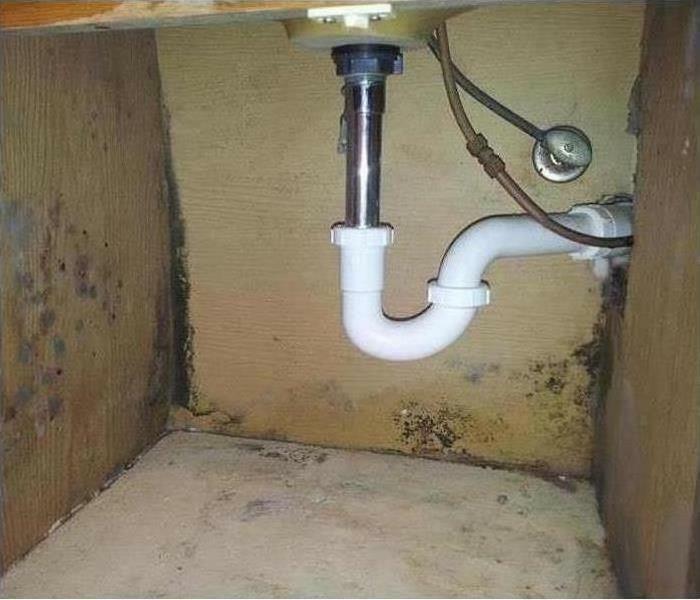 So, when our client stated that "The SERVPRO guys are life savers; they got the water up before it could cause any longterm damage," we felt no pain. Water Damage in the Philadelphia area. If you experience water damage at your home or apartment, we’re ready to help 24/7. 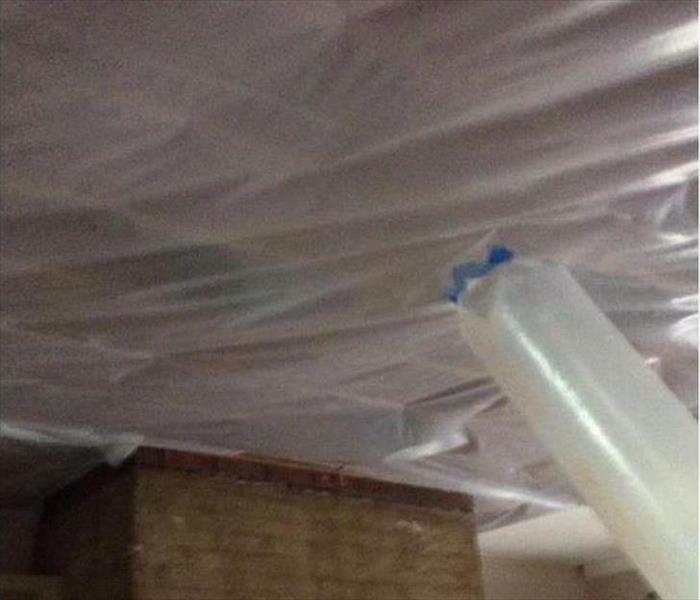 When water leaks caused damage at this Philadelphia area apartment complex, we responded quickly using state-of-the-art drying techniques. SERVPRO of Manayunk is locally owned and operated, so we are part of the Philadelphia area community too. When you have a flooding or water emergency in your residential or commercial property, call us for professional service you can rely on. 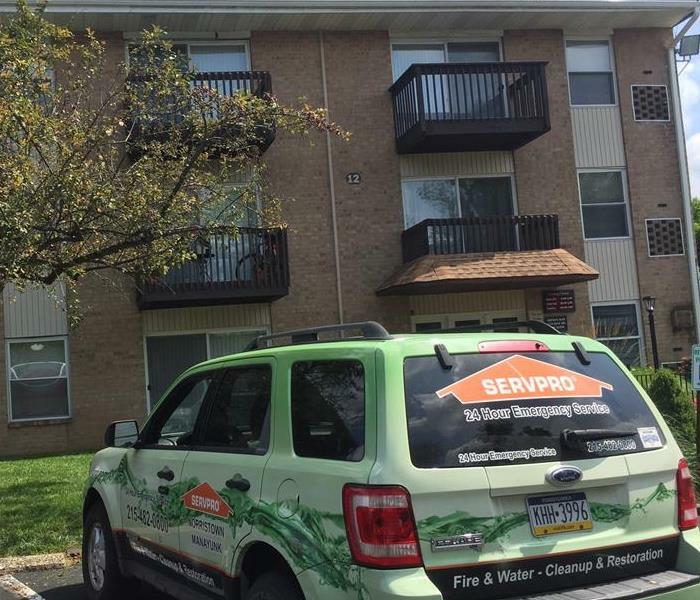 Our crew at SERVPRO of Manayunk received a call about a commercial property in King of Prussia that needed our cleaning services. We use specialized equipment and techniques that surpass those of a janitorial staff. We cleaned the property, and the owners had this to say "Thank you again to you and your team, the restaurant looks really great!" 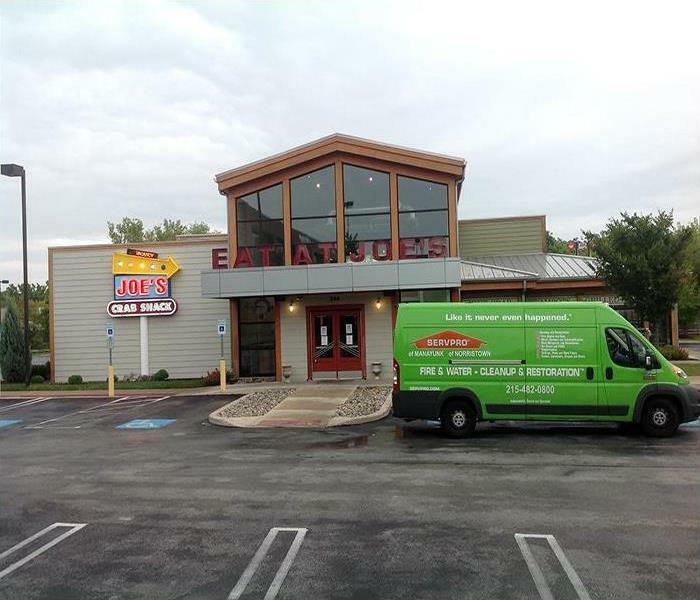 Let our highly trained technicians clean your restaurant or commercial property in Philadelphia. 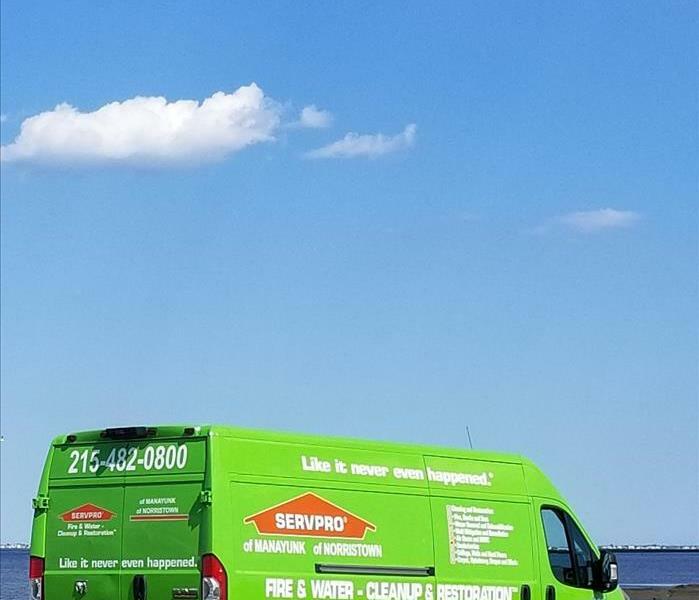 Our SERVPRO of Manayunk team members are water removal and cleanup specialists. 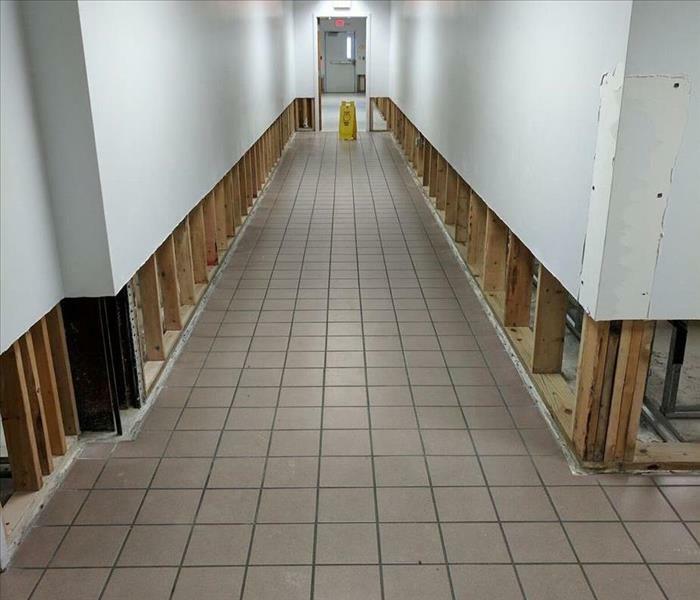 If your Philadelphia area commercial building experiences water damage from flooding or water leaks, we’re available 24/7 to help you. As water damage specialists, we have the experience and advanced training that enables us to get your commercial property dried quickly and professionally. At this Philadelphia area apartment building we cleaned the carpets while restoring the water damage. Call us first for a fast response. 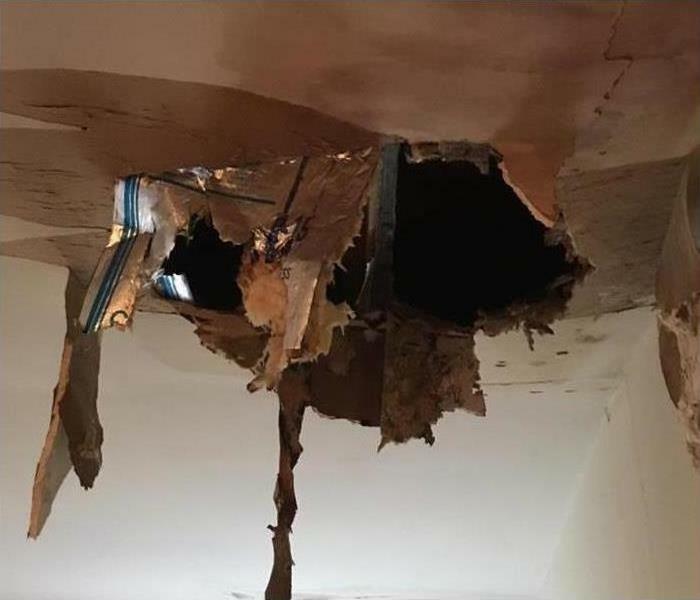 The second story tub overflow cascaded not only water and its accompanying damage to this Philadelphia home but also a significant mold problem. 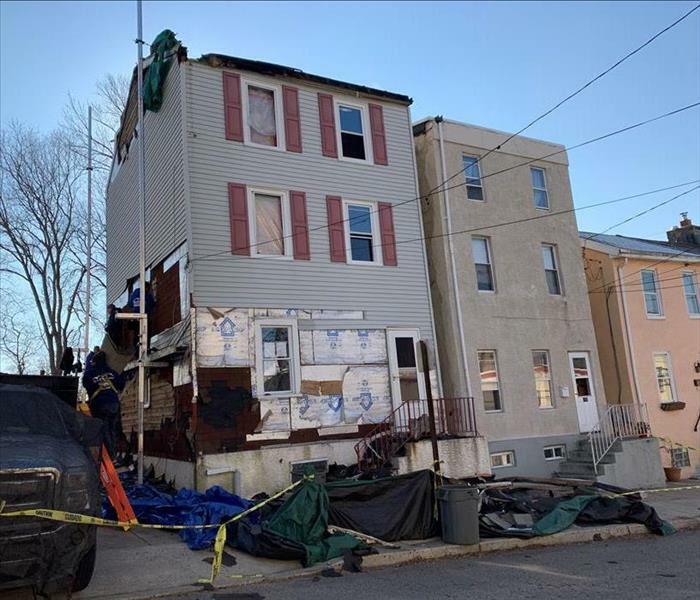 SERVPRO of Manayunk skilled technicians extracted the water and dried out the structure as they demolished the mold and water damaged building elements. The interior framing and decks were treated with an antimicrobial agent to prevent mold growth from spreading. Notice the plastic containment barrier at the door and the covered items. 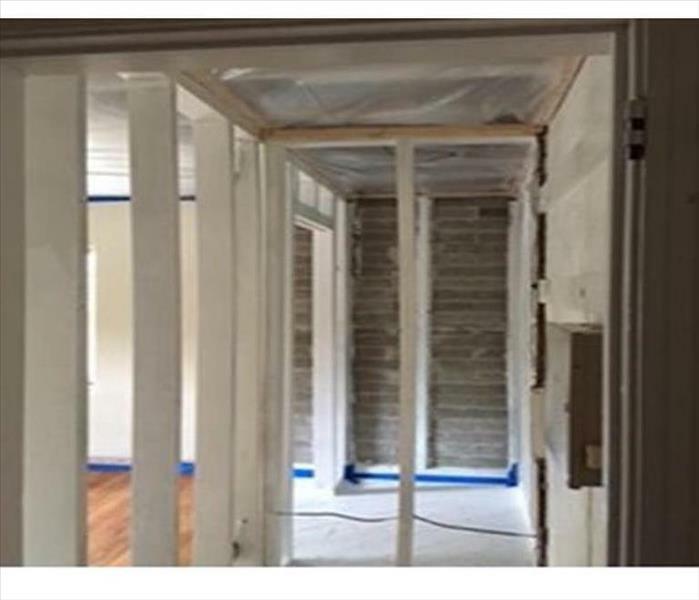 We minimize damages and costs and maximize our efforts to give our customers a stress-free experience during the mold remediation and renovation. 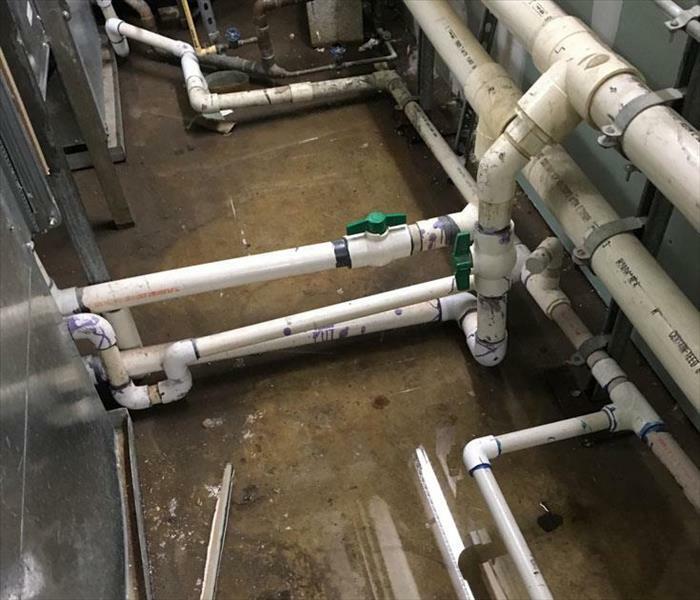 Leakage from unglued PVC joints flooded the concrete floor of this service area of a plant in Manayunk. SERVPRO arrived soon after the call to extract the pooling water as shown in this photo. Several dehumidifiers and air movers were placed for water vapor removal. The Green Fleet from SERVPR0 of Manayunk responded for emergency help for commercial water damage restoration in Atlantic City. Because we are part of a SERVPRO Disaster Recovery Team, we range far and wide when called upon for help. Our IICRC certified and skilled technicians deploy state-of-the-art equipment for fast and efficient restoration. Don't gamble on the fate of your business in Atlantic City, call SERVPRO. The crew at SERVPRO of Manayunk got a call regarding a water damage emergency at a residential property in Manayunk. Our water removal and cleanup specialists arrived quickly to the property and began the restoration process. Our restoration process includes Damage Assessment and Inspection, Water Removal / Water Extraction, Dehumidification and Drying, Repair and Cleaning, and Restoration. Contact the experts at SERVPRO for help today. The sudden storm lifted shingles and created an entrance for rainwater to wet the attic of this home in Manayunk. 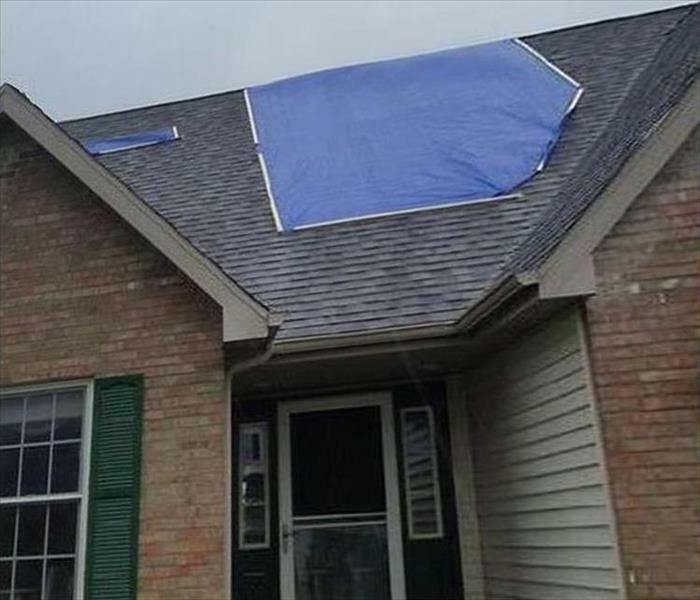 The water damage was limited because of the fast action from SERVPRO arriving soon after the call to place a tarp over the exposed water damaged roof. The drying process could then begin. 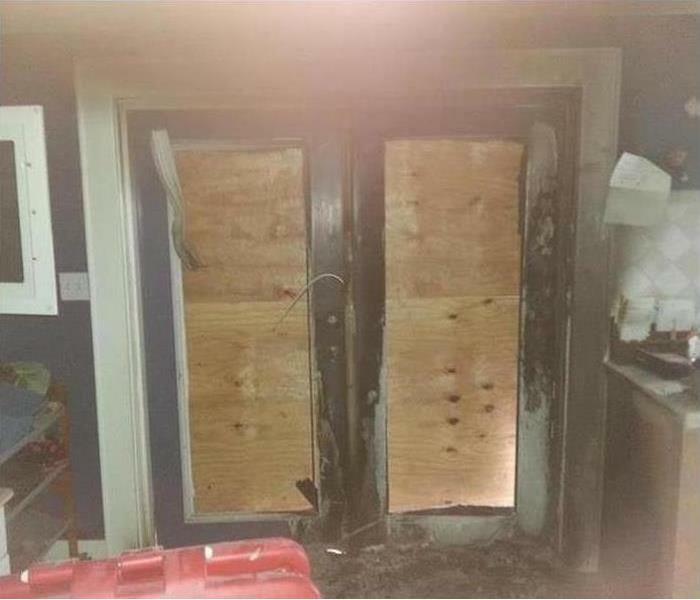 After the fire damaged this home in Philadelphia, SERVPRO technicians quickly boarded up the entrance doors to secure the building from the elements. The cleanup started to mitigate the damage and a hydroxyl generator helped to capture and eliminate the smoke odors. This storage closet, rather large, suffered a mold infestation from lack of ventilation leading to excess moisture. 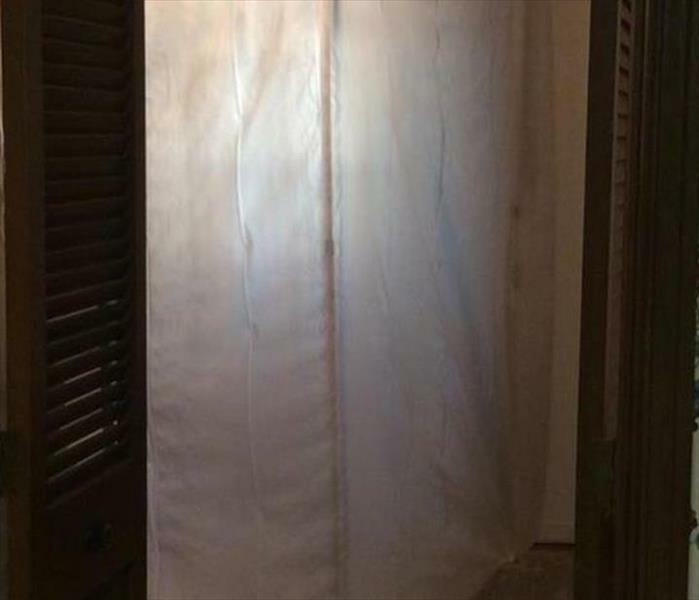 The poly sheeting was placed as a barricade to isolate the circulation of mold dust and spores as the mold remediation service was beginning. SERVPRO technicians follow protocols and mitigate and also eliminate secondary problems with our careful attention to detail.